TRG Partners | "Your Business Is On The Line"
To provide each customer with an impartial consultative analysis which ultimately provide the client with outstanding network quality, tremendous ongoing support, at an economical price. We bring over 45 years of combined telecommunications experience of both domestic and international communications to the table. We are a non-fee based telecommunication consultant firm that will support your business connectivity needs. This includes design, product selection, implementation support, and ongoing customer support after the implementation. Again, at no fee to the end user. We are excited to announce the development and deployment of our organically grown CRM. TRG likes to view this as a combination of CRM and RPM platforms. This platform will allow you to enter opportunities that need to be quoted, track order work-flow, and monitor commissions from both a spiff and residual perspective. The most exciting part is that it can all be accessed via the Telecom Resource Group web-site, http://trg-partners.com/ . We are very excited to add to out ever exapnding portfolio. Tower Cloud gives us the ability to offer dedicated internet access to rural areas throughout Florida, Georgia, Alabama, and South Carolina. This is a GREAT fit for those business opportunities in which you would simply walk away from in the past. They also have the ability to install services very quickly. Thank you for your continued support and partnerships. I am excited to announce that we have signed an agreement with Net2Phone. They have an outstanding hosted PBX platform that will provide you with not only state of the art features but also provides your customers with unlimited long distance calling, both domestic and 25 select International countries. They can also provide SIP trunks at 15.00 a month that are inclusive of same unlimited long distance calling. International DID's required?...no problem as Net2Phone can also provide International DID's to over 45 countries. How many actual copper lines, much less fiber optic access lines are in service in America today? The global voice over IP (VoIP) service market totaled $73 billion in 2015, a 5 percent increase over the prior year fueled by businesses’ move to cloud-based services and Session Initiation Protocol (SIP), as well as service providers’ de-emphasis of legacy voice connectivity. Google became one of the most powerful companies on the planet by addressing a once-in-a-generation problem: Make it easy for people to search for stuff online. Attention Partners: We do the work and you get paid. TRG Partners takes a very different approach as it pertains to partner relationships. The big differentiator with TRG is that we will not only propose services but we also interface with the customer from both a presentation perspective and signing of customer paperwork. This approach allows you to focus on what you do best. The last thing you need to be doing is chasing down quotes and subsequent paperwork. We are experts with every carrier's process. Corporate IT departments are drowning in the deluge of SaaS app requests, according to a report from BetterCloud. CenturyLink (NYSE: CTL) is taking another shot in the special access war, saying that Windstream's request for the FCC to mandate that ILECs continue to unbundle next-gen DS1/DS3 loops should be denied. Despite the pervasive use of the cloud to handle complex, secure workloads, many organisations question whether the cloud is natively secure. They still think that the security of a system depends on their ability to touch and control a physical device. We utilized Telecom Resource Group when opening a new branch, as we were referred by another business. Prior to securing their consulting service we were working directly with the carriers. This would often lend itself to several hours of wasted time dealing with the carriers in an attempt to gain status updates, etc. Telecom Resource Group removes this back and forth communications with the carrier, as they handle all aspects of the installation. We have since used them for all aspects of our telecommunication needs. 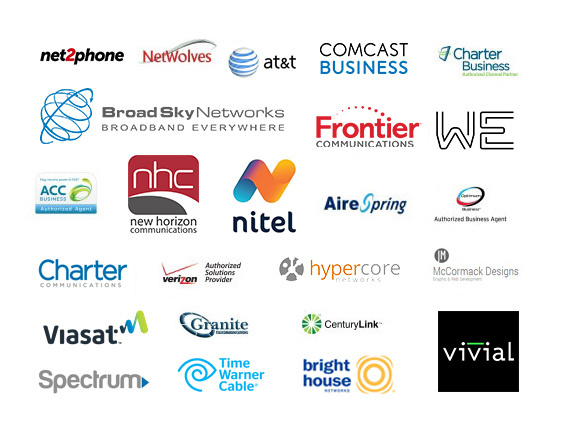 Telecom Resource Group provided my firm with voice and data service quotes from multiple carriers. They were able to review the varying strengths of each carrier and match the strengths to our needs. The chosen carrier was not the least expensive of the quotes but it best met our needs. I was amazed of the time they spent evaluating all aspects of our IT needs prior to coming to a decision. To that end, they were there for us throughout the entire implementation process and continue to be there for the firm. The professionalism is impressive. Telecom Resource Group procured and managed our entire network services transition between carriers. They were able to save us nearly 40% in telecom spend in the process. I highly recommend their professional services. Attention to detail is second to none. Please contact us today, request a proposal.